the Experimental Spoon: The Best Easter Ham Ever!!! The Best Easter Ham Ever!!! There has been one style ham that we have made in my family forever! It has been made in the oven along with using a slow cooker. I love the slow cooker style because then it frees up the oven for all the other fun things that accompany the ham. 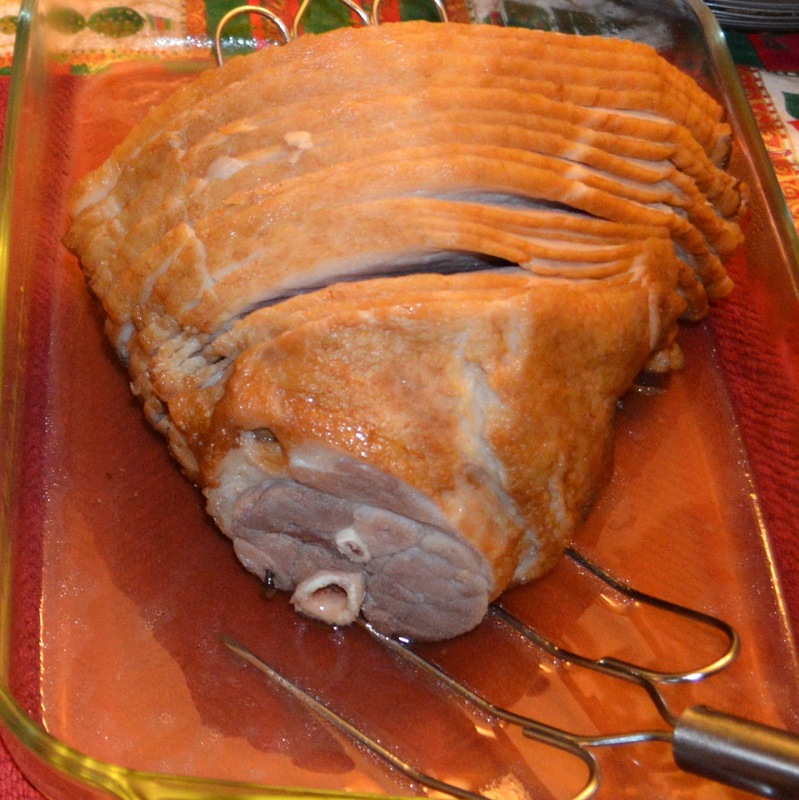 In my family, this ham is so good that it is staple not only at Easter, but also Christmas. As you can see of the little bit of the tablecloth, it was Christmas that this picture was taken. And the best part of this dish is that when you have gobbled up all of the ham, that bone makes a FANTASTIC broth for Split Pea Soup. Happy Holidays everyone! Place ham in slow cooker flat side down. Push the whole cloves into the ham all over until all of them are used up. Press the brown sugar onto the ham all over and then pour the ginger ale around the sides. Cook per instructions, basting every 45 minutes to an hour. Cook on low for 7-9 hours. See tips and tricks to oven cooking the ham, slow cooker, servings per pound at: BHG webpage.